Before all of the mishegoss with the JetBlue flight, I was in the middle of posting photos and telling stories from my vacation in Europe. When I left off, I was wrapping up my last full day in Vienna with a giant schnitzel. 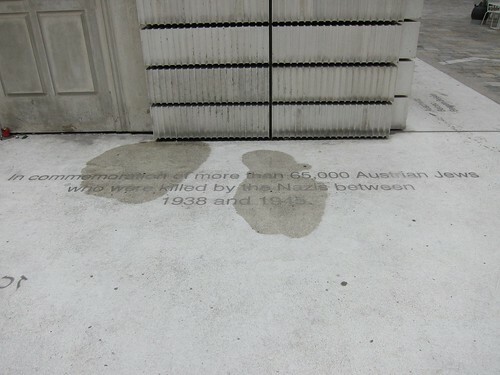 I had only a few hours in Vienna on Sunday morning, so after breakfast I went in search of the city's Holocaust memorial. 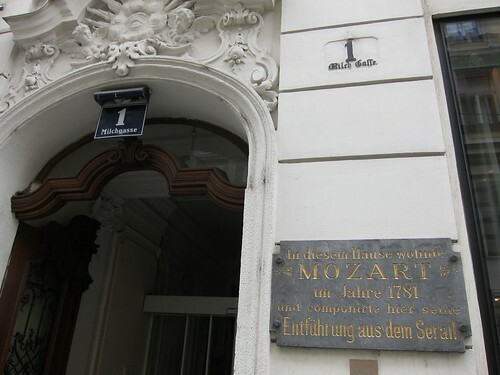 On the way I passed one of Mozart's former residences, the house in which he lived while composing his opera Die Entfuhrung aus dem Serail (The Abduction from the Seraglio). 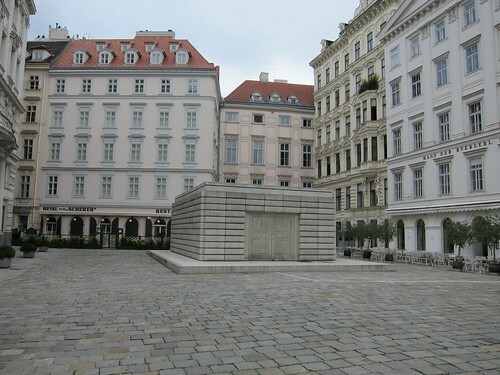 The Holocaust Memorial is in Judenplatz, an open plaza near the Jewish Museum. This inscription appears at the memorial's base in German, English, and Hebrew. 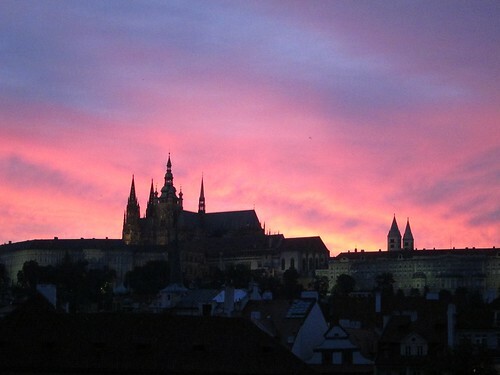 I took a train from Vienna to Prague on Sunday afternoon for my flight back to New York Monday morning. That alone was a bit of adventure, as I'd never taken a European intercity train before. I shared a compartment with a rotating assortment of strangers, most of them older couples or families. I was one of the lucky ones who got a seat. Younger kids with backpacks filled the hallway outside my compartment, sitting on their bags or on the floor. That's a hell of a way to travel. It's not quite as big as it looks. 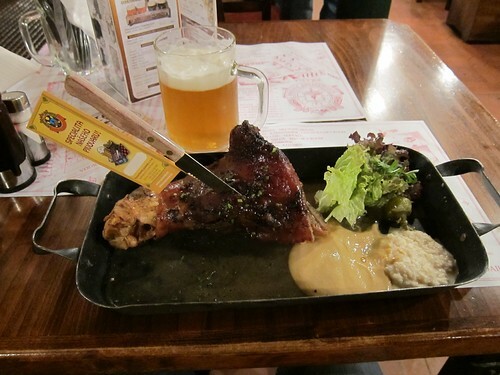 Most of it was bone, and I could have used a side dish of potatoes or pretzels. But it was delicious. 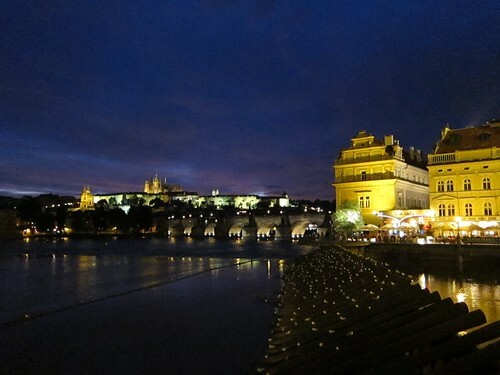 Since the night was young, I took one more stroll over to the Charles Bridge and took photos of the bridge and Prague Castle. There was a cello trio playing Metallica songs for a large, enthusiastic crowd. I think I tipped them in euros, since I didn't have any use for them at that point (the Czech Republic has its own currency). The next morning I flew back to New York, my vacation at an end. 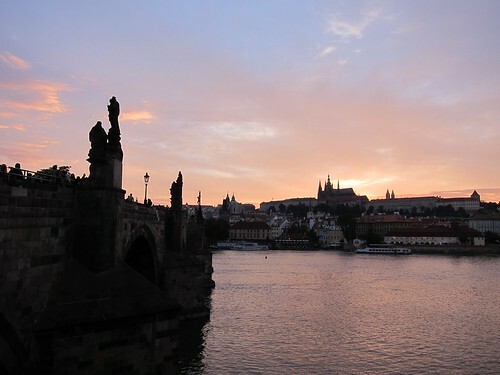 I had more fun than I ever anticipated and I can't wait to go on another bike tour or another trip to Europe. I'm already thinking of my next Backroads vacation. 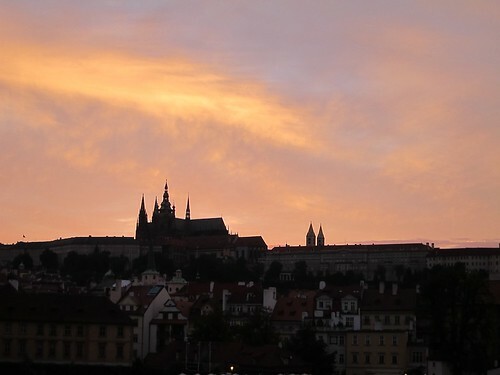 Some people recommended Provence, others Italy, and one friend suggested Poland, Slovakia and Hungary for another taste of Central Europe. There's a Slovenia trip that includes a Tour de France-like mountain climb that sounds amazing. I just need to save some money first.